August 4, 2014 /in Foot Health & Hygiene /by Jenn F.
“The worst ongoing thing is the fungus that goes on with people’s feet. It eats away and destroys the toenails and just makes it very hard for people to walk,” said Reverend Bob Book, a Christian clergyman at the Church of the Common Ground. He and his wife, Holly, have set to work cleansing the feet of the homeless in Atlanta. Each week, 35 people come through his clinic to receive a foot soak, apricot pumice scrub, nail trim, menthol ointment massage, air freshener for their shoes, a dry pair of socks, and even insoles. This sort of charity is taking off at clinics across America in places like Orlando, Boston, and Nashville — and proponents say it’s about more than just preventing the spread of bacterial foot infections: it’s about self-esteem, too. July 28, 2014 /in Foot Health & Hygiene, Shoe Odor, Toenail Fungus /by Jenn F.
Are you up to date on your foot facts? Here is some food for thought: eight in ten people suffer from some kind of foot ailment that affects their quality of life, according to a March 2014 survey of 1,000 adult Americans conducted by the American Podiatric Medical Association. 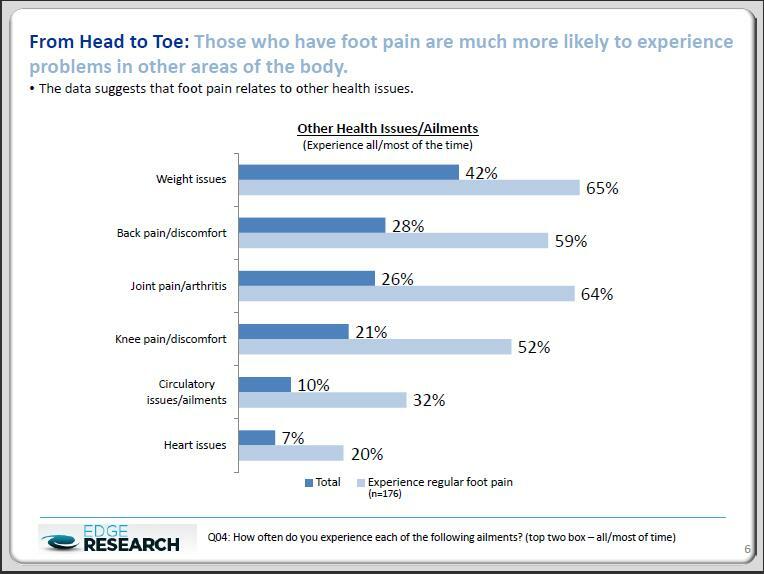 More than half of those surveyed have more than one foot issue, and a third have three or more issues. People with foot problems are more likely to suffer other issues around the body. We have an innovative product that can help with a few of the top mentioned foot problems, including the top two — sweaty, smelly feet and toenail fungus. With one 45-minute cycle, the SteriShoe UV shoe sanitizer kills up to 99.9% of viruses, bacteria, and foot fungus inside the shoes to help prevent infection. Let’s delve deeper into the problems that plague so many people, and our solutions to some of the top concerns. July 14, 2014 /in Foot Health & Hygiene /by Jenn F.
No one likes to be infected with any sort of pathogen, but some types are arguably worse than others. For instance, bacterial infections are often cleared up with a week’s worth of antibiotics. On the other hand, fungal infections can persist for months on end, with or without treatment. Some people suffer with toenail fungus or chronic recurrences of athlete’s foot for years! So why are fungal infections so much harder to eradicate? Andrew Y. Finlay, a professor of dermatology, explained the challenges of treating skin and toenail fungus in a review published in the British Medical Journal. Pathogenic fungus is often chronic due to the challenges of treating it effectively. July 11, 2014 /in Toenail Fungus Treatments /by Jenn F.
Toenail fungus is an unsightly and often chronic condition that can last for years, so many people try to mask the yellow color and crumbling edges of fungal nails with toenail polish as they wait for the nail to clear. Unfortunately, using regular, commercial nail polish can be one reason why your toenail fungus infection isn’t clearing up. Tanglewood Foot Specialists explains that chemicals in nail polish like toluene and formaldehyde “weakens the toenails and makes them more susceptible to developing a fungus infection.” Furthermore, The Mayo Clinic advises toenail fungus patients to “Give up nail polish and artificial nails” because “this can trap unwanted moisture and worsen the infection.” Instead, experts recommend using one of the natural antifungal toe nail polish brands instead. July 4, 2014 /in Toenail Fungus Treatments /by Jenn F.
Toenail fungus is America’s dirty little secret. It is estimated that 35 million people suffer from it, but only a fraction of those infected actually seek treatment. Many people just hide their feet inside shoes or paint over their nails with polish. These keratin-loving dermatophytes are picked up in hotel showers, foot spas, locker rooms, and swimming pools. One thing is for certain: you do NOT want to get stuck with this awful condition. Insurance companies consider nail fungus to be a “cosmetic” issue since it doesn’t typically cause pain or disability, so many of the newer treatments like laser removal are not covered. Other treatments like oral pills and topical creams have limited success rates. The fungus is quick to spread from the big toe to the smaller toes, but takes from six months to a year or even longer for a healthy nail to grow in to replace the fungus nail. Toenail fungus is hard to get rid of, but don’t be disheartened; follow these 10 tips! Foot Fungus & Other Skin Maladies: Should You DIY? June 27, 2014 /in Toenail Fungus Treatments /by Jenn F.
People will try just about anything to avoid going to the doctor. It’s natural to wonder, “Is taking so many medications really necessary… or are there cheap fixes that are just as effective?” You’ve probably had a neighbor, a relative, or a coworker share a story about an effective home remedy for acne, skin rashes, bee stings, or even foot fungus. The makers of the SteriShoe UV shoe sanitizer have found there are pros and cons to a Do-It-Yourself approach to medicine. Home remedies using foods, herbs, and essential oils have been around for centuries. June 20, 2014 /in Toenail Fungus /by Jenn F.
There are many often-overlooked reasons why toenail fungus either comes back or never seems to go away in the first place. If you got it from walking around a hotel shower, a swimming pool deck, or a gym locker room floor, then you obviously know to cover your feet with flip-flops or water shoes. 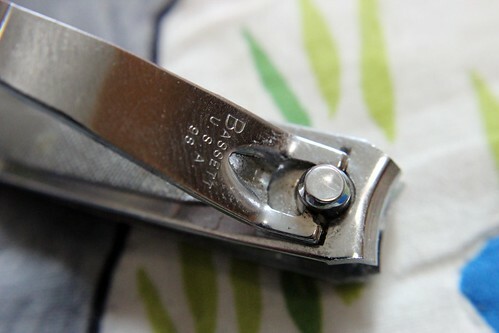 What you may not think of is the fact that fungal spores can live on all kinds of surfaces for months — including metal toenail clippers! So when you cut your fungal nail with your clippers, you can easily transmit the fungi to other toenails or fingernails — and even reinfect yourself — if you don’t properly sanitize your clippers. We’ll give you a few different ways of doing that. Did you remember to sanitize these? June 17, 2014 /in Toenail Fungus /by Jenn F.
“Cute” may not be the first adjective that comes to mind when you think of fungus — whether it’s foot fungus or edible mushrooms. Yet, Japanese game maker, Tokyo-based Beeworks, took a bold leap in revolutionizing the drab, ugly world of fungi for their smartphone app Nameko Saibai. In today’s post, find out what this smartphone app is and what makes it so popular. Also, learn what you can do if you’ve had a recent run-in with a real type of fungus that isn’t so cute. It’s hard to believe these cute characters are really just a type of fungus! June 13, 2014 /in Foot Health & Hygiene /by Jenn F.
There’s nothing like treating yourself to a day at the spa. A little bit of pampering can make a person feel refreshed and rejuvenated. Unfortunately, some manicure and pedicure salons can leave visitors with unwanted side effects that last weeks, months, or even years. Though rare, fungal infections stem from unsanitary practices and contaminated equipment. In today’s article, we’ll discuss the prevalence of fungus in salons and how to tell if your local spa is up to code. Pedicures are a great way to pamper yourself — but only if your salon is up to code! 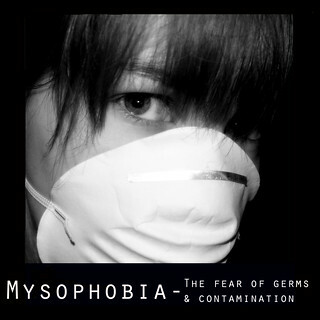 June 11, 2014 /in Foot Health & Hygiene /by Jenn F.
In today’s post, we take a look at the criteria to be a so-called “germaphobe” and explore a few things that’ll make life easier for you if you happen to be one. Although hygiene and cleanliness is important, the need to continue clean, sanitize and sterilize all day long is not normal.